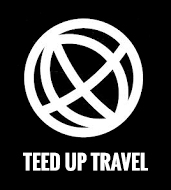 Teed Up Travel is a tour and travel company focused on delivering to clients unique tour experiences. Our team injects professionalism, experience, attention to detail and passion into travel and tour development. Our approach to travel is to focus on collaboration with clients, to offer a tailored service and work with you to develop your ideal travel and tour plans. Teed Up Travel delivers memorable experiences, enjoyable and secure. We offer high levels of service, experience and knowledge to ensure well coordinated trips and ultimately memorable experiences. Our agency has coordinated hundreds of clients travel arrangements involving tours and travel to global destinations including Asia, United States, South America and Europe. The business has organised travel and tours for over 20 years. Let your adventurous spirit soar! © Teed Up Travel*. All rights reserved.